A giant of the field of immigration law. He is recognised as a leading author in this area. Ian has been involved with race relations and immigration law since the days of opposition to the Commonwealth Immigrants Act 1962. He was a member of a small group of Society of Labour Lawyers and of the Campaign Against Racial Discrimination (CARD) legal group in the 1960s, which helped draft proposals for race relations law in the United Kingdom. He wrote his first book for Butterworths on immigration and race relations law in 1969. His book Macdonald's Immigration Law and Practice is now in its 9th edition and is the standard textbook used by immigration practitioners, immigration officials, adjudicators and judges. Ian was born in Glasgow and remains committed to his Scottish heritage. Friends went to the Scottish Bar and prospered, but apart from reading for the English Bar in the Faculty of Advocates' Library in Edinburgh, and being in a Swiss law firm in Geneva, he has so far stuck to the English Bar, where he has built up a very successful practice. Ian started life at the Bar in a very establishment set, specialising in local government and planning law, and had done a bit of teaching at what is now Kingston University. Then he heard of a zany bunch of young radicals who had set up shop in Lincoln's Inn just after finishing pupillage, and rushed to join them. Thus began Garden Court Chambers in 1974. Ian went on to become joint head of Garden Court Chambers and then also became the first Head of Garden Court North Chambers when it was founded in 1996. Ian’s immigration practice continues to cover the whole field of immigration law, both court work and advice. Ian has been instructed in many of the well-known anti-deportation campaign cases and has been counsel, both as junior and as silk, in numerous reported immigration cases from Immigration Appeal Tribunal level up to the House of Lords, and has been to Strasbourg and to the European Court in Luxembourg. 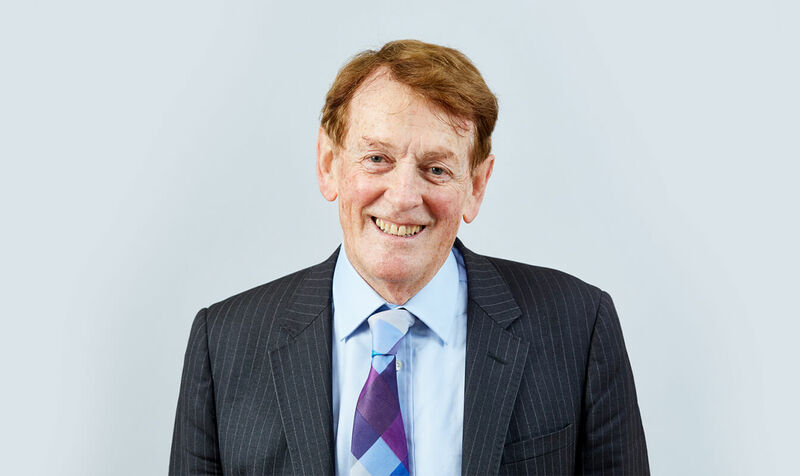 Ian is regularly instructed privately to provide advice and representation in immigration matters, including revocation of sponsorship licenses of educational institutions, the position of students at these colleges, students accused of using a proxy to take their English language tests, loss of sponsorship licences by employers, penalty charges for illegal employment, Tier 1 (Entrepreneur) and (Investor) applications, Tier 2 (General) applications by or on behalf of workers and advice to football clubs and other sporting bodies about options for overseas players. In 1998 he was appointed by the Attorney General as special advocate to the Immigration Appeals Commission dealing with national security cases, and acted in that capacity in both pre and post 9/11 appeals He resigned in December 2004 in protest against the indefinite detention powers without trial imposed by the Anti Terrorism Crime and Security Act 2001, and has since acted in control order appeals. Counsel for family following restraint death in Prestwich regional secure hospital in Greater Manchester. Ian undertakes judicial review work relating to immigration, prison law and other civil and criminal law cases. Advised Libyan Abdelbaset Ali in his Appeal in the Scottish Courts in the Lockerbie bombing case (2008). Ian has written numerous articles on (inter alia) immigration, counter terrorism, race and employment law for New Law Journal, IDS Brief Supplements, Oxford Economic Law Review, Race & Class Today, the national media, Immigration, Asylum and Nationality Law and for journals in Canada and the United States. Ian’s Privacy Notice may be viewed by clicking here.